“Travel only with thy equals or thy betters; if there are none, travel alone.” This passage from the Dhammapada has always been my travel dictum. And that is why you will often catch me on trails all by myself. But last Tuesday (March 26th), I did not travel alone. 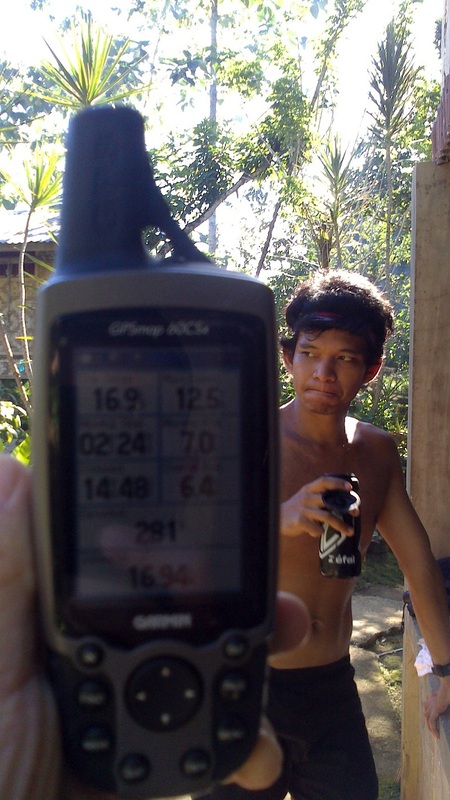 I traveled with my better in the person of a seasoned ultrarunner and triathlete, Xerxis Tan (a.k.a. X). 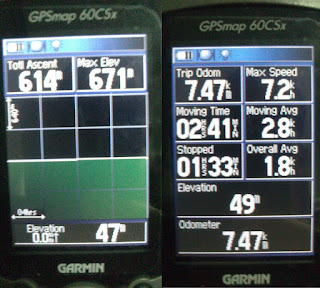 Thus, we dubbed our journey Run-Laon XL. 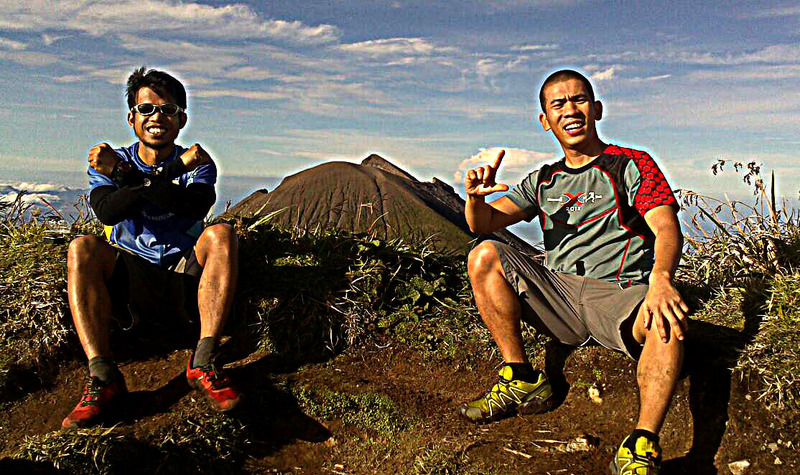 A few weeks ago, Xerxis messaged me of his intention to run the trails of Mt Kanlaon. He said he was gonna be alone but wouldn’t mind one more companion in the run. With the help of another good friend Jigz Santiago, the head of the association of Mt Kanlaon guides in Canlaon City, we got our permits. 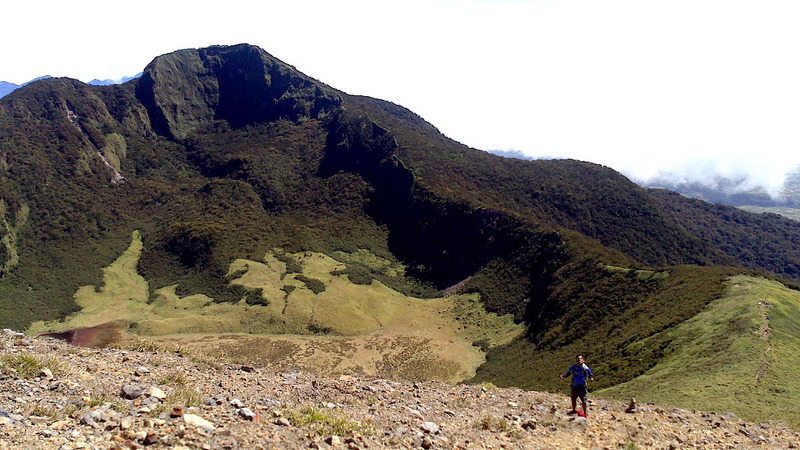 We were scheduled to traverse Mt Kanlaon from Mapot to Guintubdan on the 26th of March. We kept everything secret because for some reason, most of my plans fall apart when I tell people of it beforehand. 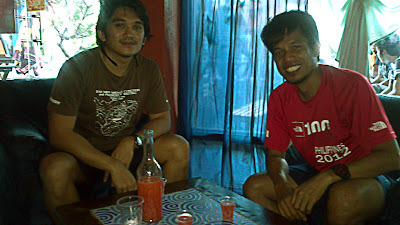 After our 24K Salomon Xtrail run in Pico de Loro on the 23rd, we were too tired to have our planned pre-climb. I was with my running buddies and he was with his. All we could exchange was ‘Sige text kita mamaya’. We had not trekked or run together before but I knew things would go without a hitch because I was travelling with an experienced outdoorsman. We made all the preparations through text and Facebook the day before Run-Laon XL. 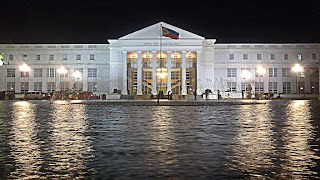 Early morning of the 25th I flew to Bacolod from Manila and X flew to Dumaguete. 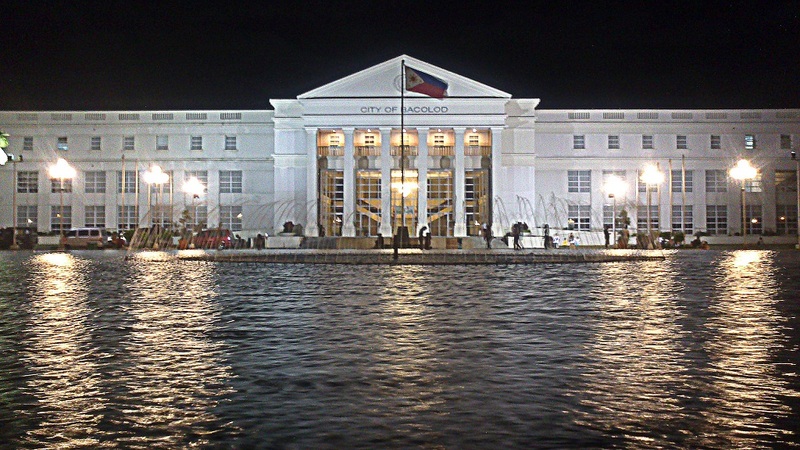 I constantly exchanged text messages with my very accommodating friend Jigz Santiago and around noontime I arrived at the Canlaon City tourism office. After lunch I tried to sleep behind Jigz’s table as he busied himself with some unreasonable Korean tourists. At 7pm, X arrived. I was supposed to leave some stuff (which included a pair of jeans, slacks and suede shoes) and just pick ‘em up the following day at the tourism office. I had changed the plan to just go for a Mapot-Mananawin traverse because coming from Guintubdan back to Canlaon City would waste a lot of time that I might miss the last trip from Bacolod to Cebu. I had to be back in Cebu by 10am Wednesday because I had already bought a 10:30am Cebu-Ormoc ticket. but X came up with a better plan. We kept the old plan to traverse to Guintubdan and just let the guide carry my Mobex. That way, we wouldn’t have to go all the way back to Canlaon City to pick up my stuff. My Mobex has survived an Akiki-Ambangeg day hike. This time, it's Kanlaon. You know what's next! Around 7:30pm, we headed for the house of our guide in Mapot. Jigz cooked pochero the Negrense way. In the middle of a baby’s wail I managed to steal two hours of yogic sleep which felt like eight. X said he couldn’t sleep a wink. But our guide might have only slept less than an hour because his baby wouldn’t let him. At 4:30am the alarm went off and we had coffee and banana for our pre-breakfast. Jigz soon left because he had some guests to tour around that day. Around 5am, we had to face the most difficult part of the journey—the transition from inactivity to activity. I was still entertaining the thought of waiting for the sun to come out before starting the journey. 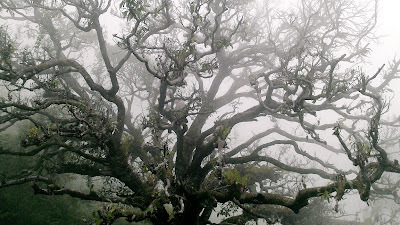 It was as cold as Benguet! But we wanted to get back down before sunset so we had to leave. 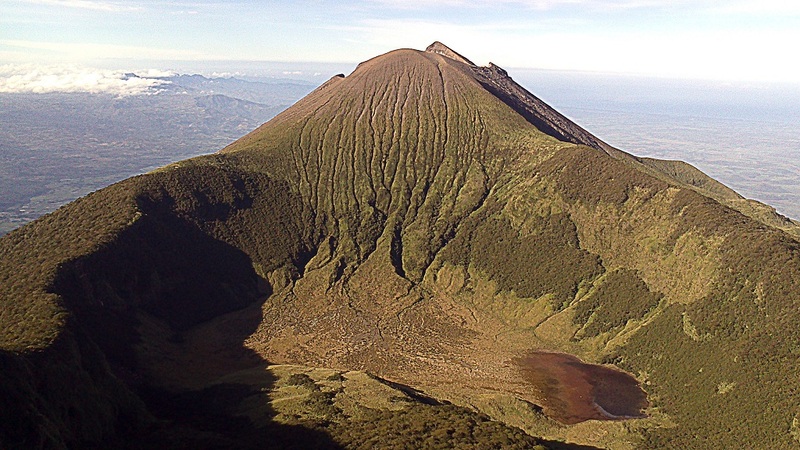 At first, it was a bit difficult to breathe because the guide’s house was already at about 1300masl but soon our lungs adapted to the thin air. 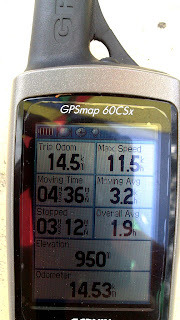 Our light packs allowed us to move fast. 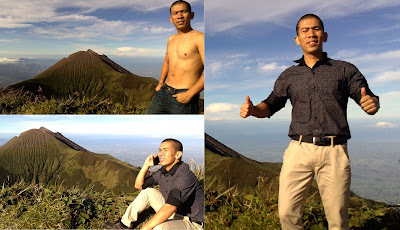 Around 7:30am we reached Makawiwili Peak. Because of X’s ingenious plan, I was able to make use of my city clothes for some instant photo ops. I never really liked doing this but the opportunity presented itself! 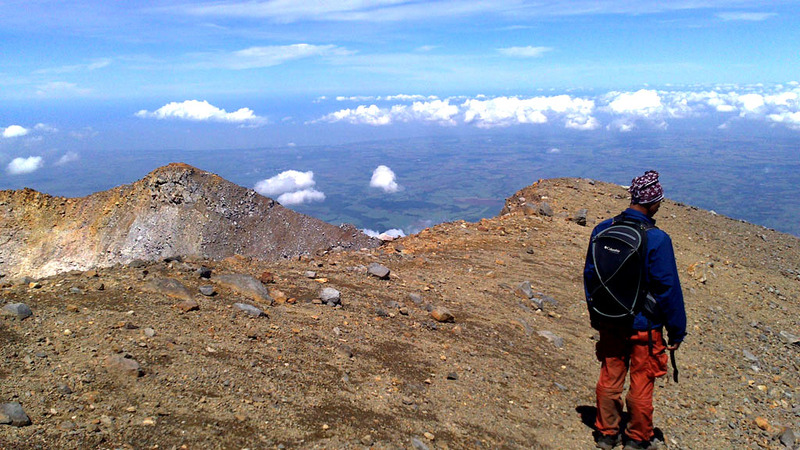 We had breakfast at the shoulder campsite around 8:30 and at 9:30 we reached the crater rim. It was during that time when I knew why my friends who had climbed Mts Apo and Pulag consider Kanlaon the best of the Philippines’ big three. The terrain features were just out of this world! 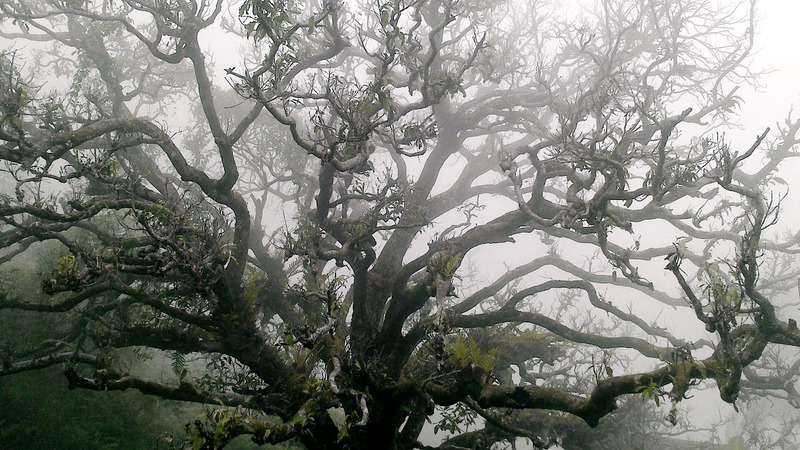 But as much as I wanted to savor every moment up there, I shook more and more with fear. 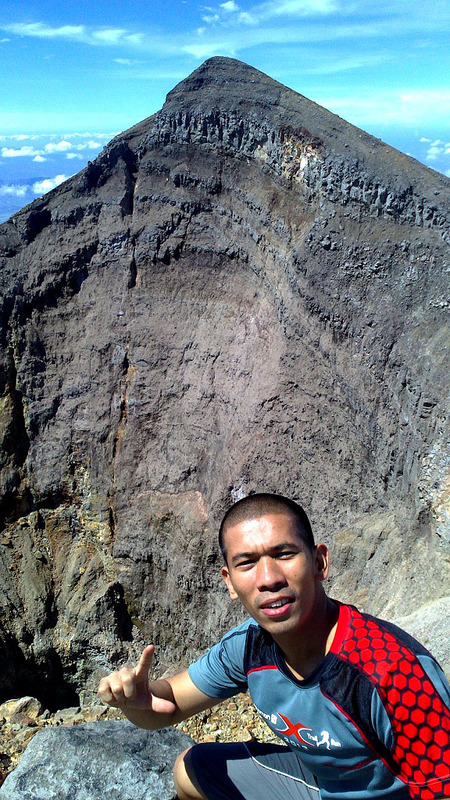 Eight years of climbing but my acrophobia gets more intense each year. I couldn't get myself to peep into the crater. I failed to see the crack at the bottom that they were talking about. 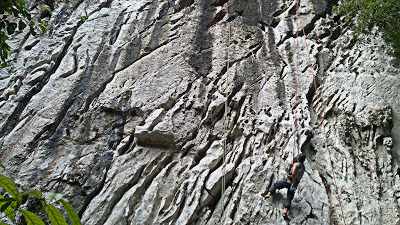 Soon my legs started to get stiff and I got fidgety every time I saw the guide and X near the edge. Then the winds blew stronger so I had to request for a descent. The slope and the rolling stones scared me more. I was walking down the bare crater peak with knees bent. But in the midst of this fear, I enjoyed the views nonetheless. 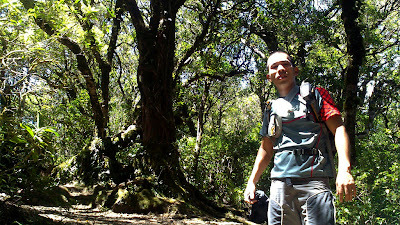 Finally the ground got relatively flat at the west shoulder and we soon entered the bonsai forest of the Guintubdan trail! Guintubdan trail is ideal for downhill runs in that the slope is not so steep, the trail is clear and the canopy of rainforest trees energizes the runner. It was a long 9km downhill run and it was fun. It was such a shame that X’s GoPro ran out of battery inside his pack. I wanted to record our run on video. And just what runners would love at the end of the run, the cold spring at the end of Guintubdan trail was a warm congratulation to our tired muscles. 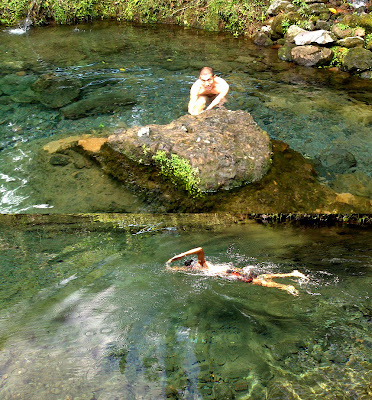 Around 12:30 we stretched and cooled down in the natural pool as our lunch was being prepared at a small eatery. It was a good 16k recovery run from our 24k Salomon Xtrail! We got back to Bacolod around 4pm and another good friend Anton gave us a ride around the city. It was a nice way to celebrate the successful Run-Laon XL! In retrospect, that skyrun was a very nice experience. I miss the mountains but I don’t miss waking up with a hangover and cleaning soiled pegs and folding moist tents. 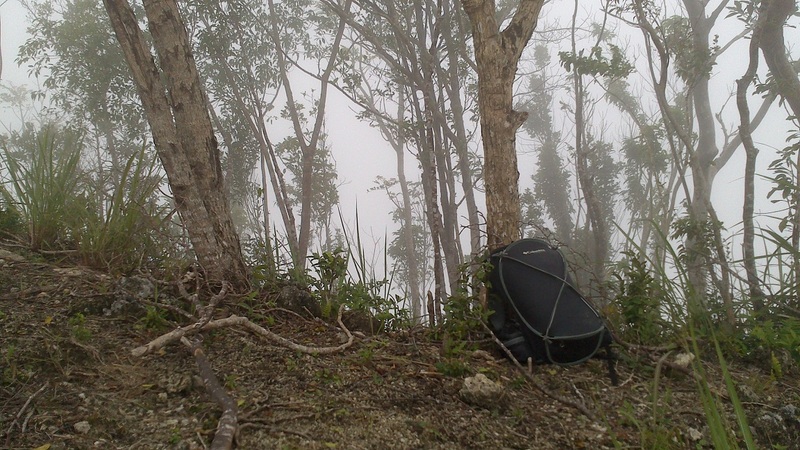 I don’t miss carrying heavy backpacks and wading in muddy trails. 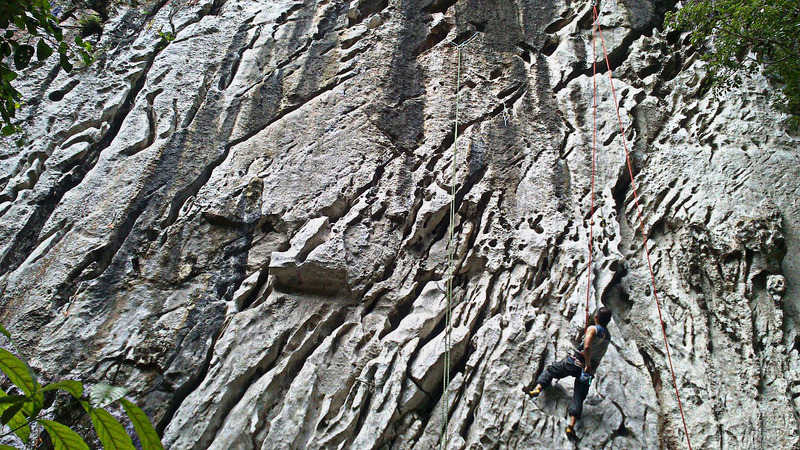 I loved those things but I’m okay with keeping them as sweet memories of my climbing days. Running trails is my new way of enjoying the mountains. 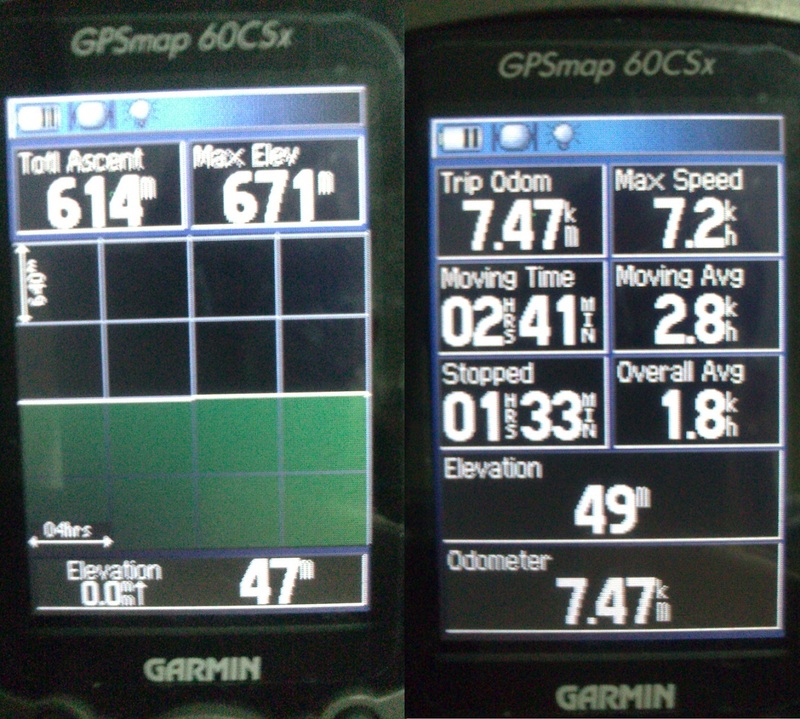 the ~1.5-km trek from the jumpoff to the guide's place was not recorded. My running buddy was running a 50K trail run in Hong Kong so last weekend was an opportunity for me to do the activity I originally loved doing—camping! 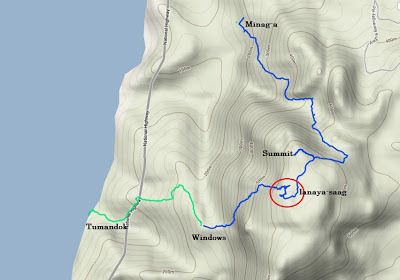 I wanted the activity to be a fusion of my running training and minimalist camping so I once again took the challenge of Mt Lanaya Traverse (in spite of my doctor’s advice). 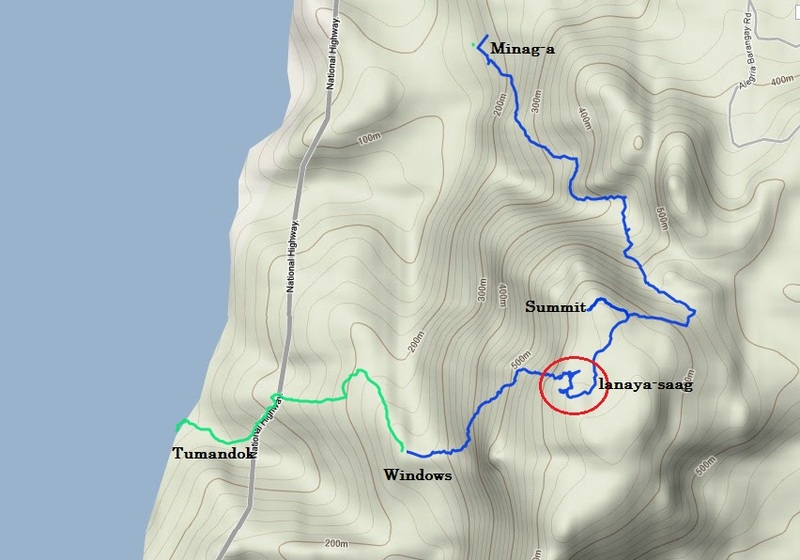 I had already traversed the mountain twice but this time I did the reverse route starting from Minag-a and exiting at Tumandok. This trail is, for me, one of the best trails in the country in that it is consistently shady, clean and single-track from start to finish. And the locals you meet are very warm and nice. Misty wooded areas once spooked me. 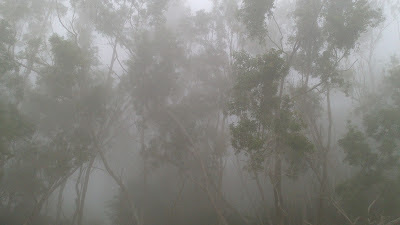 But last Saturday the misty woods of Mt Lanaya made me feel like I was one with it! I felt connected to the Earth! But the bees at the bouldery summit did scare me. So I aborted the plan to camp alone at the summit. Instead, I headed for the Windows campsite down below. 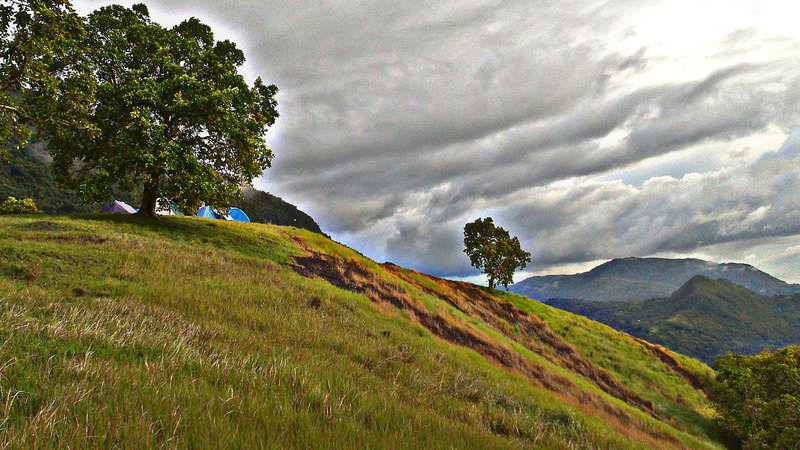 This campsite is still one of the best I’ve seen! I couldn’t resist practicing some of the poses I recently learned in yoga while facing the sun-kissed Tañon Strait. 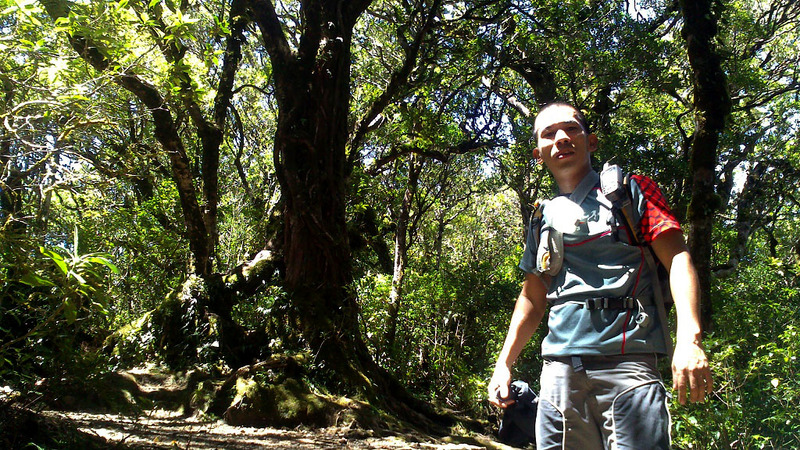 At the campsite I saw Tonton—one of my two companions in my first Mt Lanaya trek—with some of his friends. 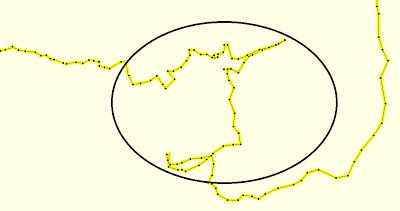 They would do a traverse to Lumpan the following day. I was always ready for a camp at the Lanaya-saag area so I didn’t panic. The whole trek (including the final descent to Tumandok reading center the following morning) just consumed 2hours and 41 minutes of moving time and around 30 minutes of stopped time (excluding the time I used taking pictures and setting up my bivy system). And I was not running. It was a relaxed pace. This is the advantage of minimalist camping! And I don’t intend to brag nor take away the credit due Mt Lanaya. 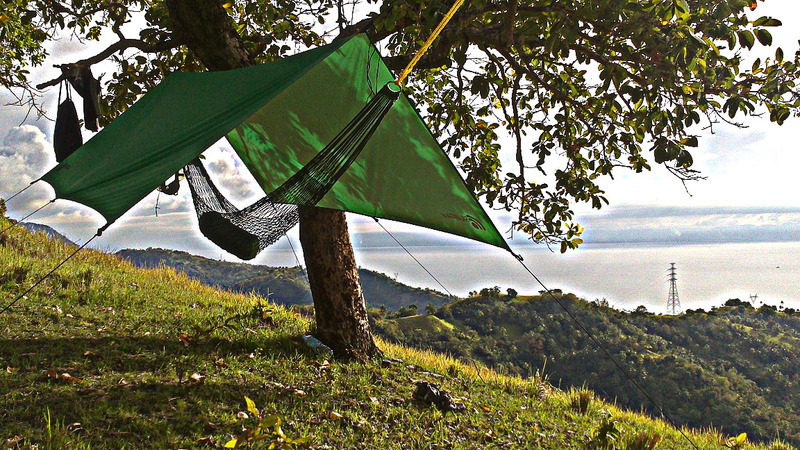 I’m just encouraging everyone to do minimalist camping or engage in trail running! Your feet will become more familiar with the trails and your stamina and cardio will greatly improve. That is while enjoying the views! Trail running is starting to feel like climbing where we can find new friends and good views. 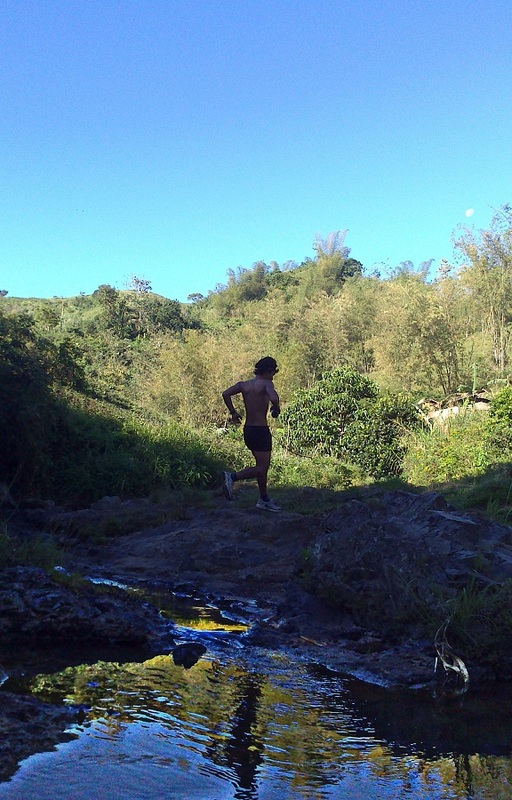 Last weekend, I realized that in trail running, we can also EXPLORE! 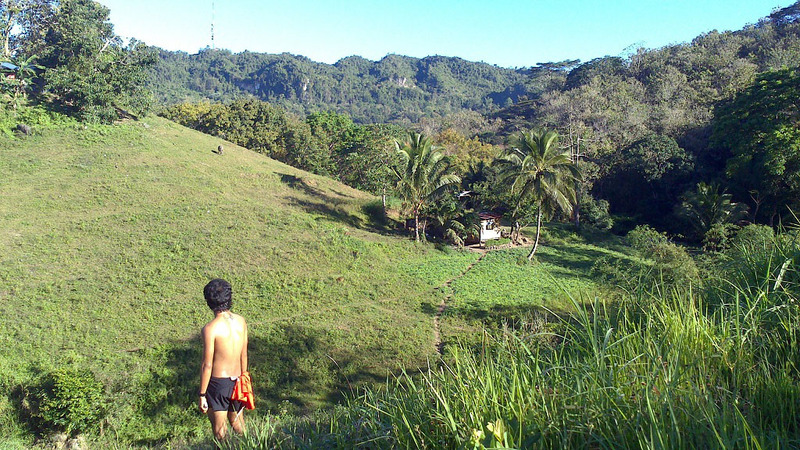 Jake and I have already run two routes in the Minglanilla-Cantabaco area. 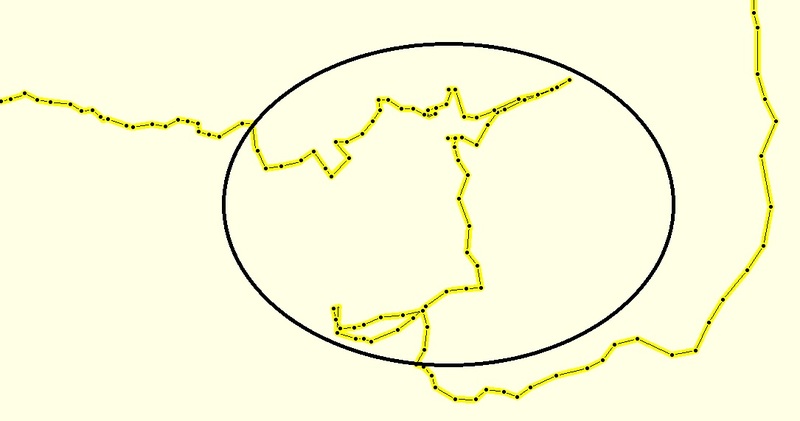 The first one was the Minglanilla loop and the other one was via Manipis-Jaclupan road terminating at Cantabaco. 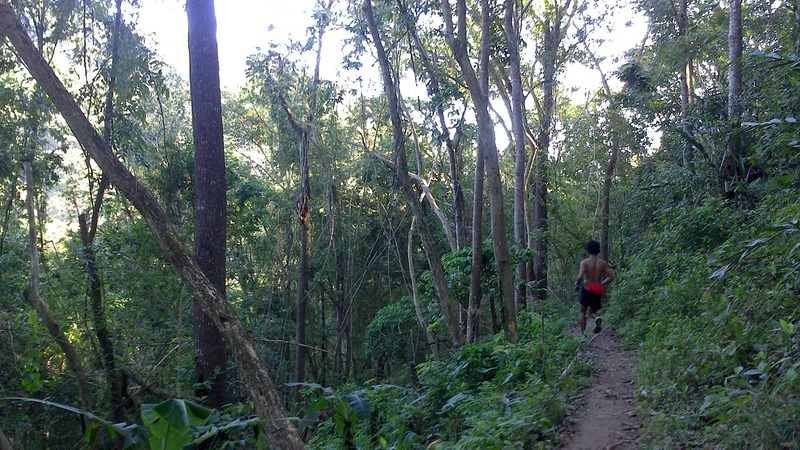 Last weekend, while everyone thronged the Xterra, Jake and I ran the isolated trails of Minglanilla and and Cantabaco. This time, we linked our two previous routes starting from Minglanilla then exiting the woods in Campo Siete and finally ending at Sir Raymund’s place in Cantabaco. The finish line's at the top!